Michael Mosiman is the younger brother of our assistant editor Josh Mosiman. 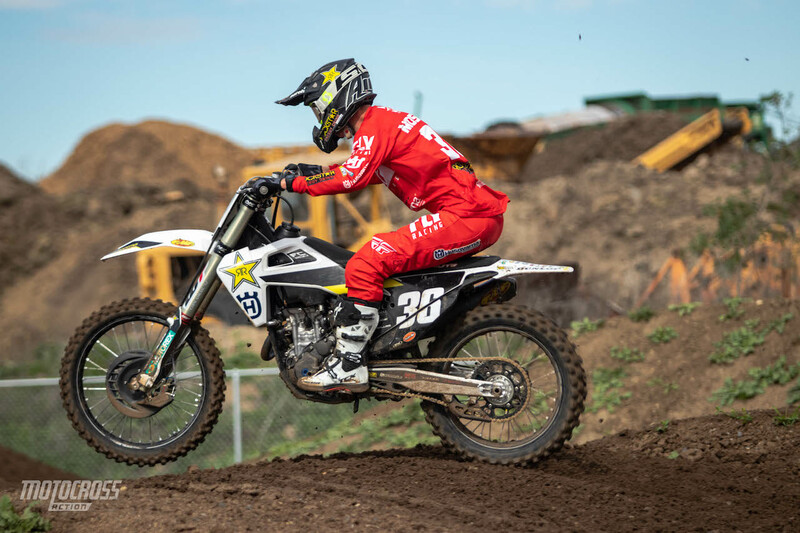 In his second season of Supercross, the 19-year old Rockstar Husqvarna 250 rider is making progress each weekend. So far Michael has placed 12th, 10th, 8th and 7th and he’s tied for 8th in the championship point standings. 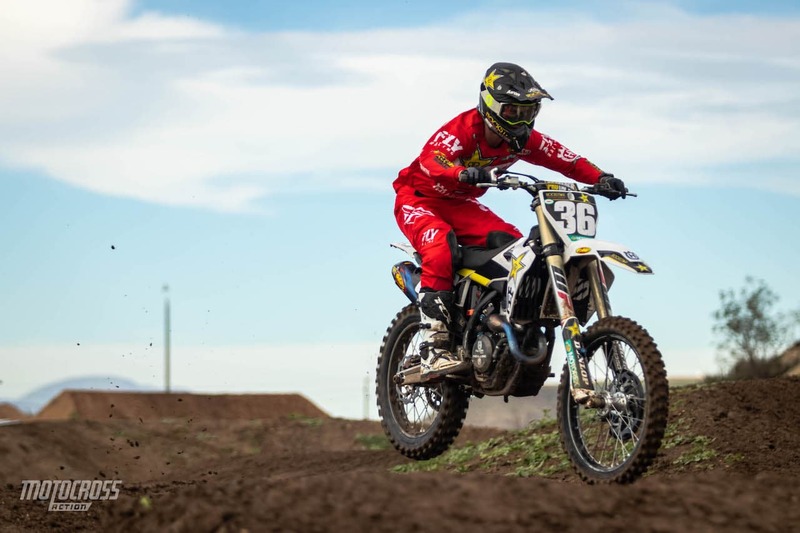 While he’s known for his smooth and low-revving riding style on the track, the young Supercross rider is quite the character in the pits and amongst his team. We sat down with the Northern California native to inquire about how his season is playing out in his opinion and to ask him about training at the Baker’s Factory and his new life in Florida. 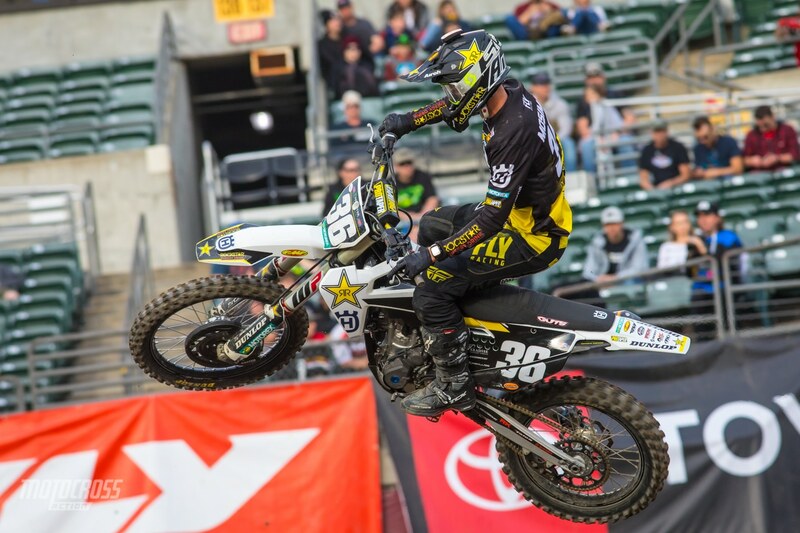 AFTER FOUR ROUNDS OF SUPERCROSS, IS YOUR SEASON GOING HOW YOU EXPECTED IT WOULD? Coming into the season, being a second year rookie. I had my own expectations of what I should be able to accomplish and they were based on the offseason, not based off of last season because I’ve grown a lot as a rider and a person. I’m much better than I would say my results have shown. I haven’t met my own expectations yet. As far as racing and my second year goes, I’m still growing in confidence. I show up at each track and I feel like a rookie. I go and ask my friend Shane McElrath “What lines do you think we’ll do in these rhythms?” Then I’m like “alright cool, those are the lines I was thinking too, we’ll stick with that.” In some ways I still feel like a rookie, but in other ways I get out there and I’m starting to know what I’m doing. 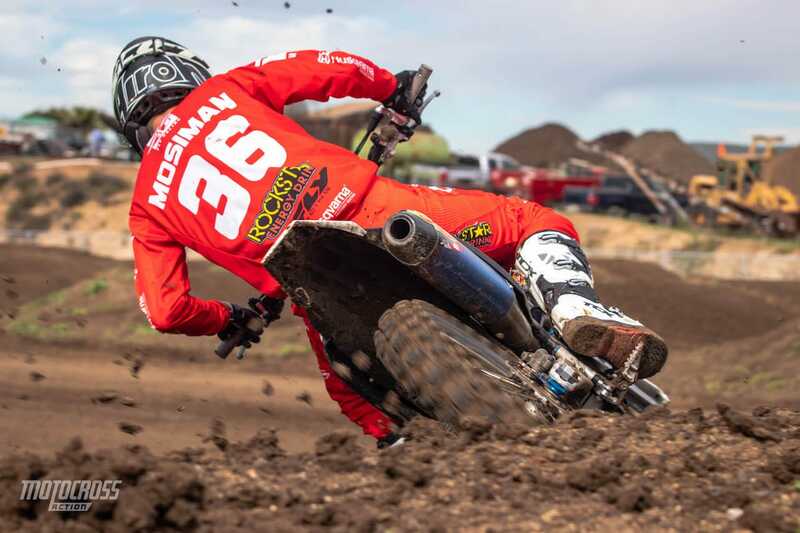 Michael dancing through the whoop section at the KTM/Husqvarna test track in Murrieta. WHAT ARE SOME THINGS YOU DIDN’T EXPECT COMING INTO THE SEASON? Something I didn’t expect is how difficult it can be to get a good lap in during qualifying. I’m learning a lot about that, but I haven’t been able to successfully execute. Getting clean space has been tough for me because there are so many guys on the track all trying to do their perfect lap. You don’t want to give up too much time waiting for space, but you really want a clear track so that you don’t get caught behind someone on your fast lap. The 19-year old grew up in Northern California and recently moved to Florida. He’s on the same schedule as many of the top Pros that go back and forth between Florida and California throughout the year. AFTER A YEAR OF LIVING IN FLORIDA AND TRAINING AT THE BAKER’S FACTORY, HOW DO YOU LIKE IT? Living In Florida has been really nice. It’s a slower pace out there and I really enjoy that. Motocross isn’t as prominent there and I’ve been able to build a lot of relationships outside of moto and it’s been really nice. Training out there with those guys has been good, I’m learning what it takes to be the best. As I do the program, the more and more I believe in the program and I see what it can do for me. For some reason, the titles and stuff alone don’t speak to me. But it’s definitely a proven program, I’m happy to be down there. The tracks are freaking sweet! Everything is so convenient, the start pad is dialed everyday. Where here in California it’s always a struggle to get good start practice in. Practice makes perfect. Whoop sections require lots of commitment and good technique. THERE ARE SO MANY TOP RIDERS AT THE BAKER’S FACTORY. HOW DO YOU LIKE TRAINING WITH YOUR COMPETITION? Training with competition always helps. 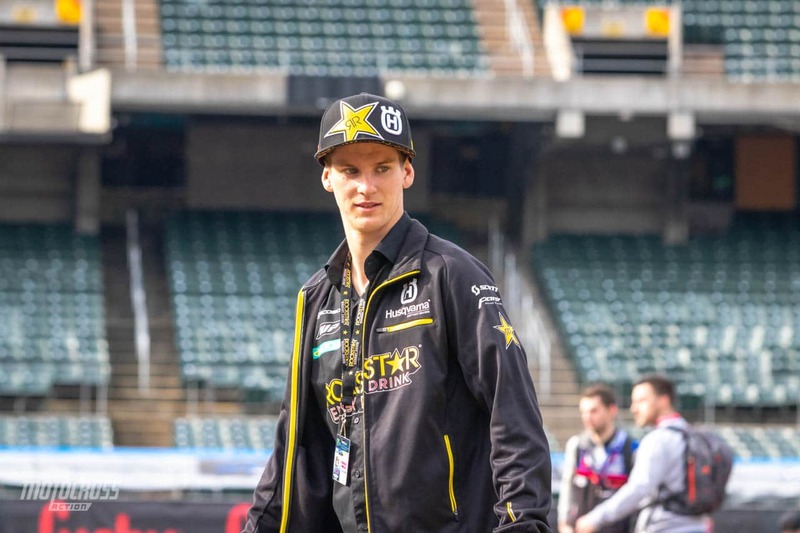 There were weeks in the offseason where I was battling hard with Jordon Smith. We were bumping and hitting each other on a practice day. We were running it in, jumping side by side, it was gnarly race stuff! And it took me some time to get better in those circumstances. So that is a huge advantage, being able to work those kinks out before the race. After his training was over, Michael threw some whips for our camera. YOU’VE SLOWLY GOTTEN BETTER AT EACH ROUND THUS FAR, WHAT ARE YOU DOING TO PREPARE FOR THE FINAL WEST ROUND BEFORE THE THREE WEEK BREAK? I had a little bit of an ankle injury in the offseason. 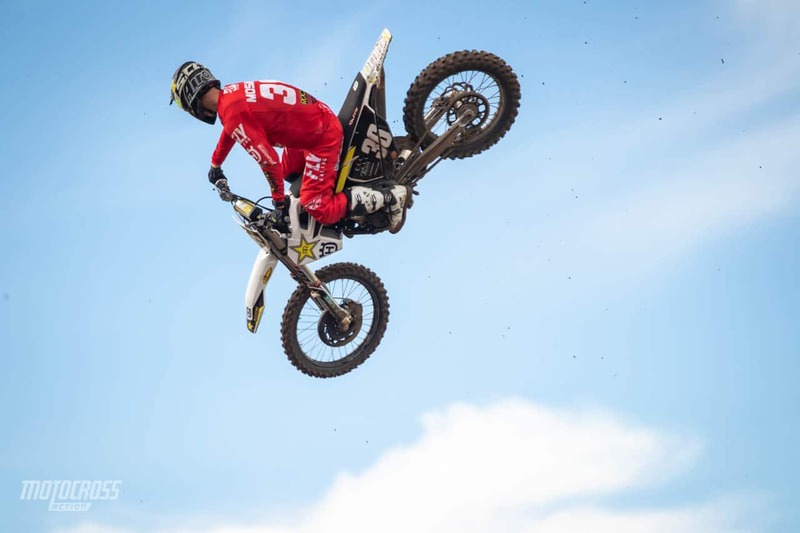 I wasn’t able to do consistent motos towards the end of my offseason leading up to A1. Right now I’m playing a little bit of catch up with that. So just doing motos and riding during the week helps tremendously. With the team being behind me 100 percent we’ve made adjustments to the bike. We made bigger changes between A2 and Oakland and I think it was better. We went quite a bit stiffer. So that whole week we were working on the suspension and it was more of a focus on that. This week I’ve been able to just focus on getting my motos in. I went back and watched the film from the weekend and there were just too many mistakes. Eliminating those today (at the practice track) was good, I had my first mistake free moto since my ankle injury. Time on the bike produces that for me. I know what I’m capable of and I know what’s in there. It’s just a matter of doing it. Repetition builds consistency and that’s what the Baker program is really really good for. 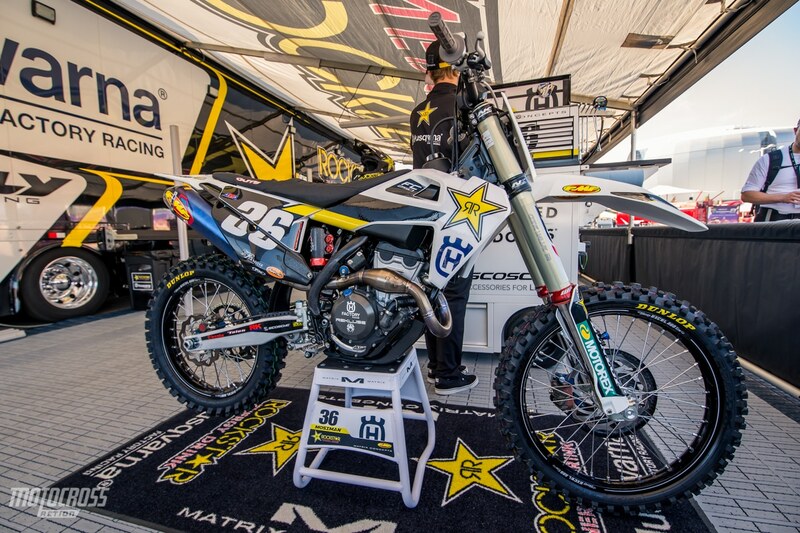 Michael is the only 250 rider for his team on the west coast, and at Oakland he was the only rider under the tent. 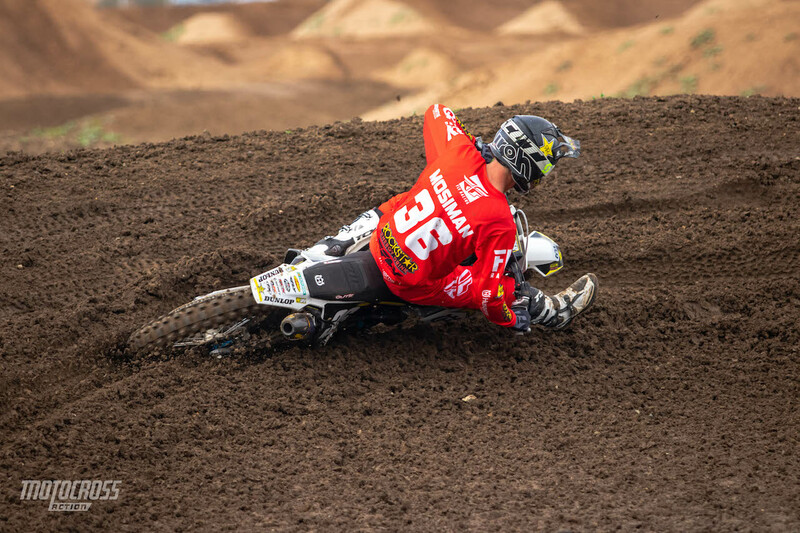 Jason Anderson was hurt in a practice crash during the week leading up to Oakland and Zach Osborne is waiting to begin his season in the 450 class starting at Minneapolis after a collarbone surgery. WHAT IS THE DIFFERENCE BETWEEN PRACTICE TRACKS TO RACE TRACKS? There’s a big difference between race tracks in the stadium and the practice tracks. You get to ride a lot of laps on the practice track, you get as much time as you need and you get used to it. It becomes a lot like a rail track where you hit the same line, lap after lap. At the races it’s not always that way. The ruts change and get a lot deeper each lap. And the whoops are way more gnarly than they were in the practice before. So, there’s always stuff that’s changing and moving around and you have to adapt with it. And different bumps in different places cause you to make mistakes. And then it’s also just super high pace. On the practice track sometimes I think “this Supercross thing is not too hard, my lap times are good and consistent” but you get to the races and these guys are shredding and you’re pushing to keep up with them. It’s gnarly. I think it’s in that pushing where you can make mistakes or get fatigued and then you’re more prone to make mistakes. Michael qualified 8th in Oakland and finished 7th in the main event. THE WEATHER FORECAST IS LOOKING WET FOR SAN DIEGO. HOW DO YOU PREPARE FOR THE UNKNOWN? There’s definitely some uncertainty. Everyone around me keeps talking like it’s for sure going to be a huge mudder. But I keep saying “ah no, it’s gonna be fine” because I believe in what the Dirt Wurx crew can do. But also there’s not a lot of preparation for a mud race per say, maybe just preparing mentally. In a sense the mud is like the ultimate equalizer, so I guess just focus on the start. But rain or shine I’m there to race. 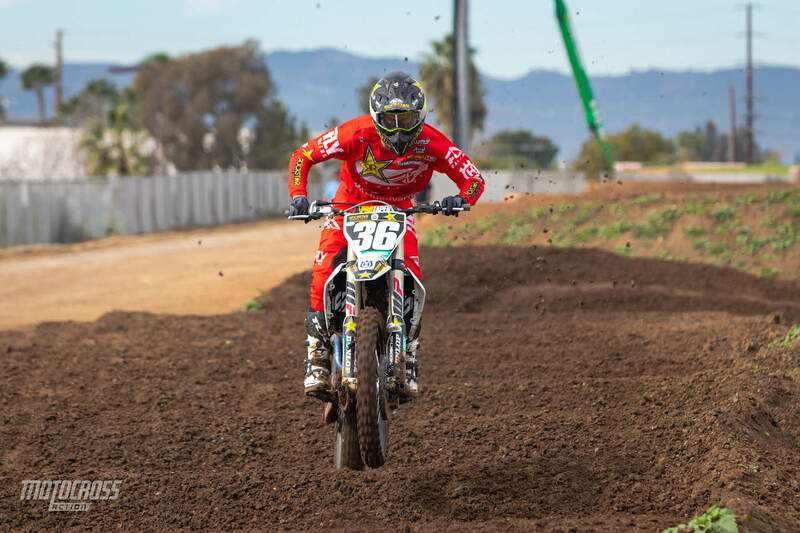 The overcast weather in California created good moisture in the dirt and deep ruts in the corners at the test track. WE HEARD YOU HAVE SOME CUSTOM GRAPHICS AND GEAR FOR THIS WEEKEND. ARE YOU EXCITED FOR THE MILITARY APPRECIATION RACE? I’m super stoked for military appreciation weekend. The military has done so much for our country and they deserve to be respected and acknowledged for it. It’s really cool that us as the Supercross community can get together and celebrate it and be festive with camo and really just give all the credit to them. All the men and women who fought and have died for this country, they are very worthy of being acknowledged and respected and it’s awesome that I can be apart of that and provide my support. Michael is known for having a unique and smooth style. It’s very rare to hear Michael’s bike high in the RPMs. WE’VE HEARD FROM YOUR TRAINER TYLA RATTRAY, TEAM OWNER BOBBY HEWITT AND THE REST OF THE PEOPLE ON YOUR TEAM THAT YOU LIKE TO TALK. WHAT KIND OF STUFF GOES ON IN BETWEEN THE MOTOS WITH THE GUYS AT THE BAKER’S FACTORY? Man… At the Baker’s factory, I think I stay fairly work mode during my practice days. I’m really not that talkative at the practice track. Jordan Bailey definitely takes the show there, that guy tells so many stories. I think he has a comedy career personally. His transitions between stories are good, he doesn’t need anyone to ask him what the next one is about. He just moves into the next story, it’s impressive. But at the gym those guys make fun of me because I make friends so quick. I know a lot of people at our gym now and I’m always talking to people at the airport. It seems like I make friends everywhere I go.